The Pazon Sure-Fire is a complete, bolt on-replacement for faulty and worn out magnetos on your vintage pre-unit twin. 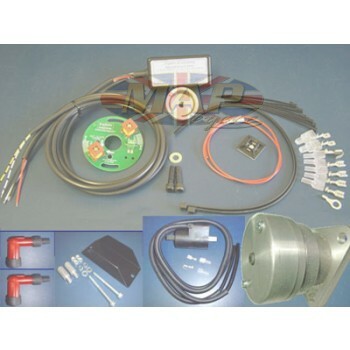 Converts old 6-volt systems to 12-volt. Helps relieve hot starting problems. 7-1/2 year manufacturer's warranty. Have a Question about Pazon Pre-Unit Triumph BSA Norton Twin 12-Volt Magneto Replacement ? The Pazon Sure-Fire replaces faulty and worn out magnetos on your vintage pre-unit twin. Helps relieve hot starting problems. Triumph/BSA/Norton twin cylinder models originally fitted with Lucas K2F or BTH-type magneto. 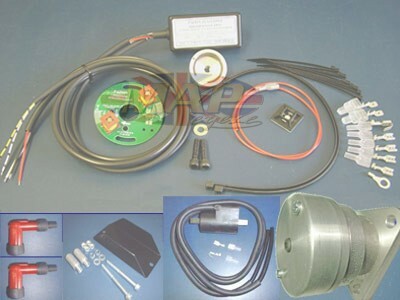 Suits 12-Volt electrics with positive or negative ground.